Lipid Technology Handbook from C.H.I.P.S. 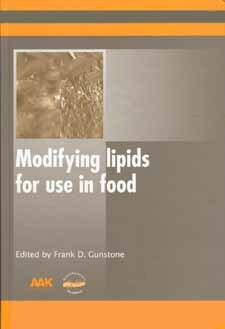 Modifying Lipids for Use in Food covers the range of lipids available, techniques for their modification, and how they can be used in food products. Part One reviews vegetable, animal, marine, and microbial sources of lipids and their structure. Part Two discusses the range of techniques for modifying lipids such as hydrogenation, fractionation, and interesterification. Part Three considers the wide range of applications of modified lipids in such areas as dairy and bakery products, confectionary and frying oils. With its distinguished editor and international range of contributors, Modifying Lipids for Use in Food will be a standard reference for dairy and other manufacturers using modified lipids.